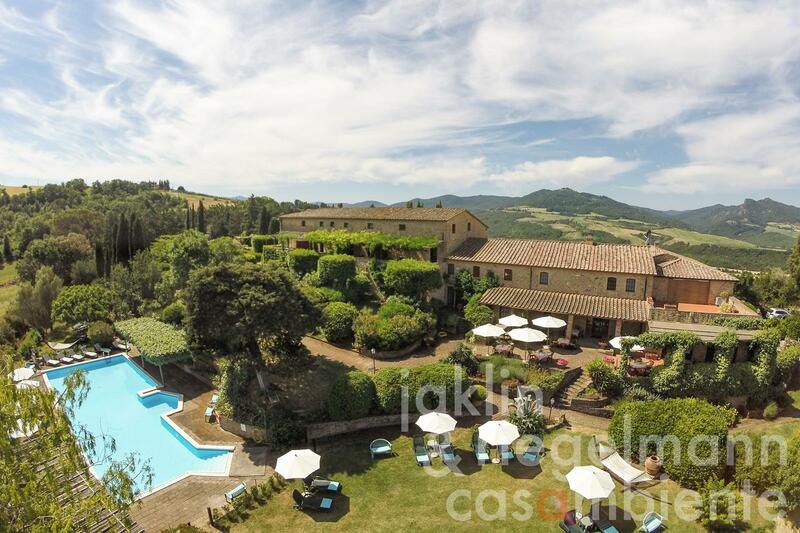 Manor for sale with holiday apartments, swimming pool and garden close to Volterra and the sea in Tuscany. 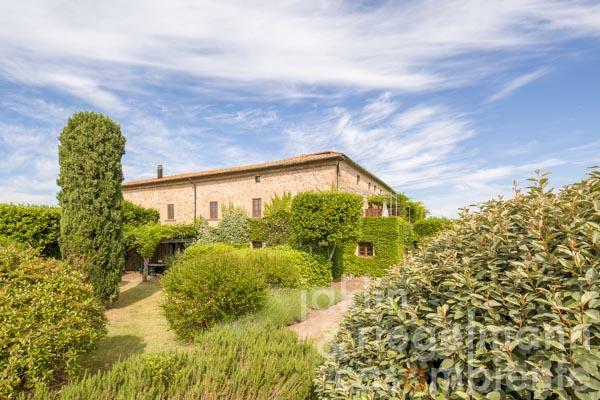 The manor, a former Fattoria estate, is approx. 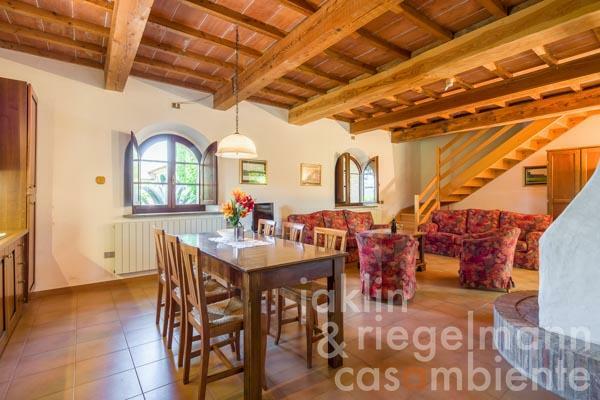 250 years old, was classified as a distinguished cultural heritage property and was renovated with care and competence by the Swiss owners. 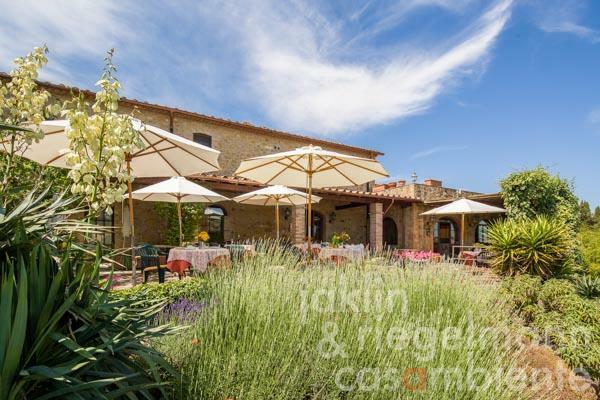 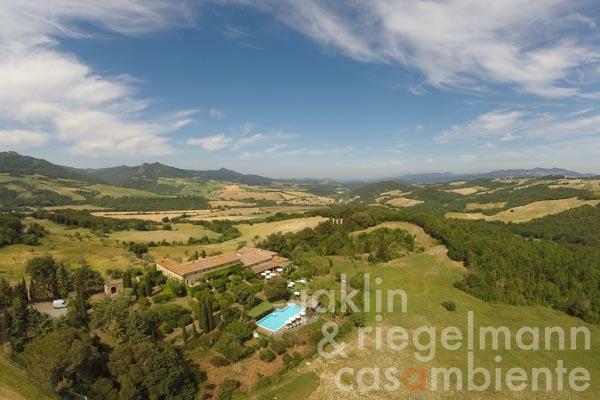 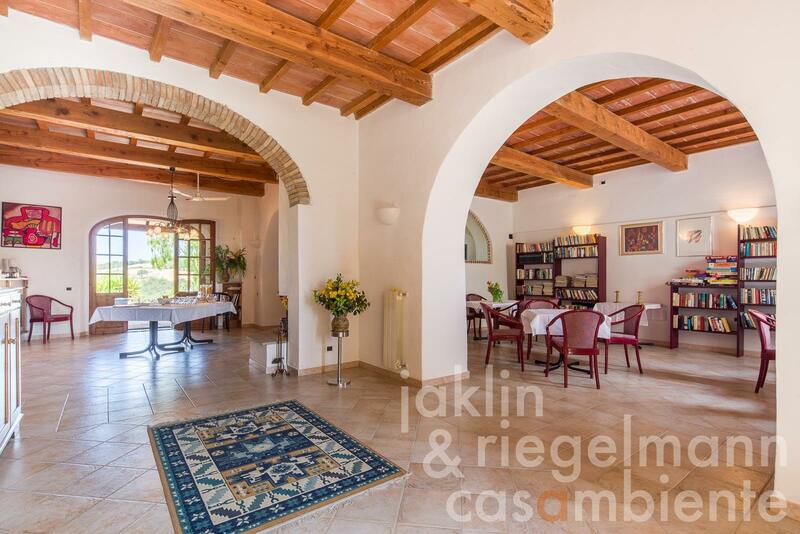 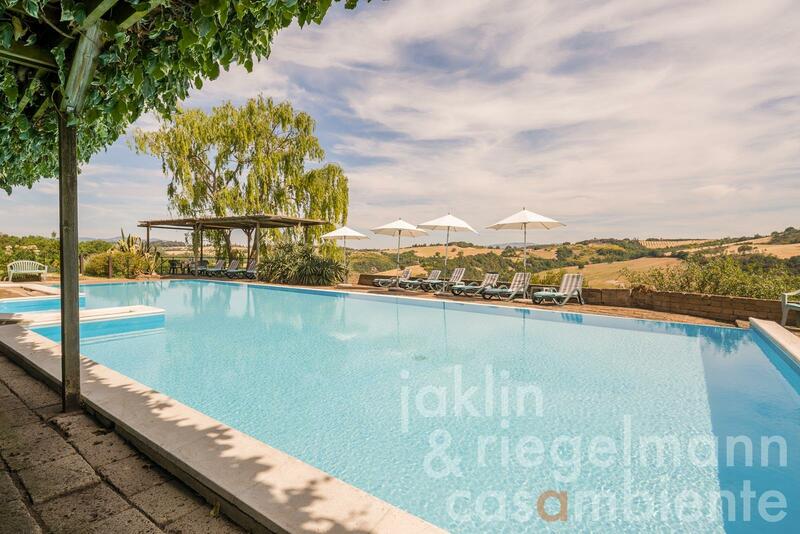 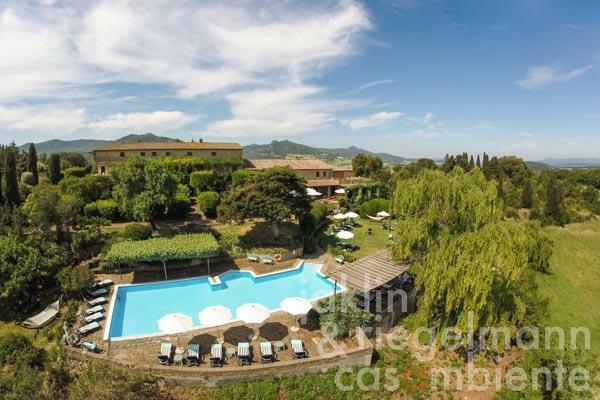 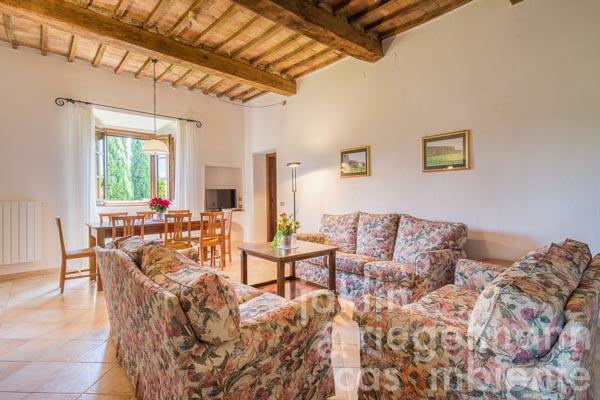 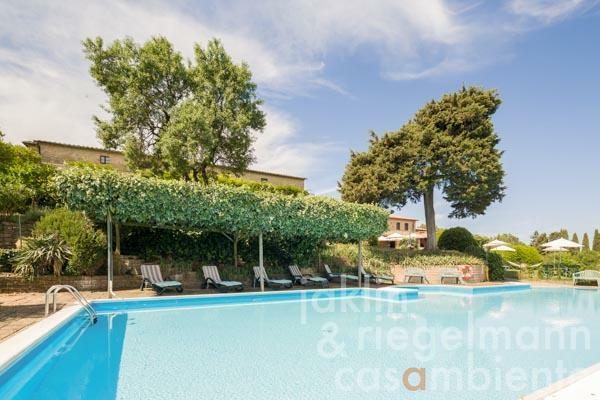 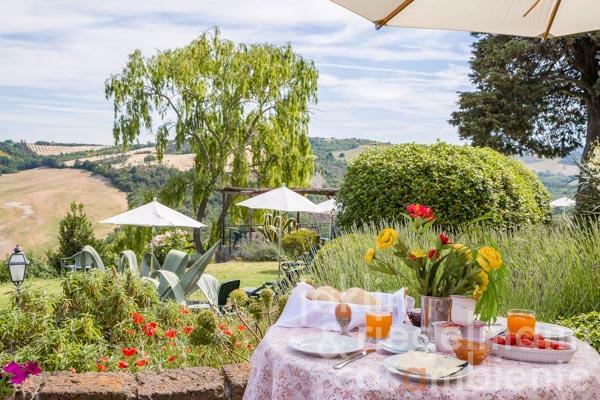 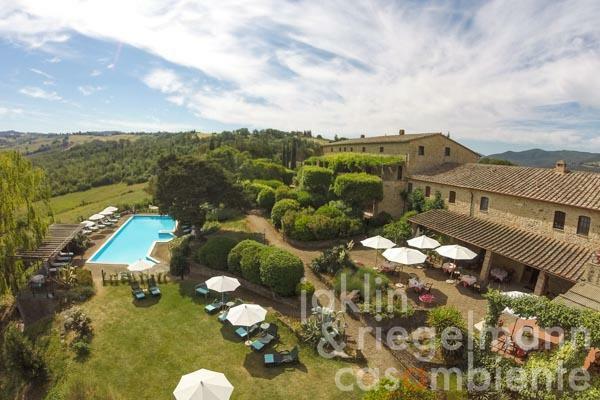 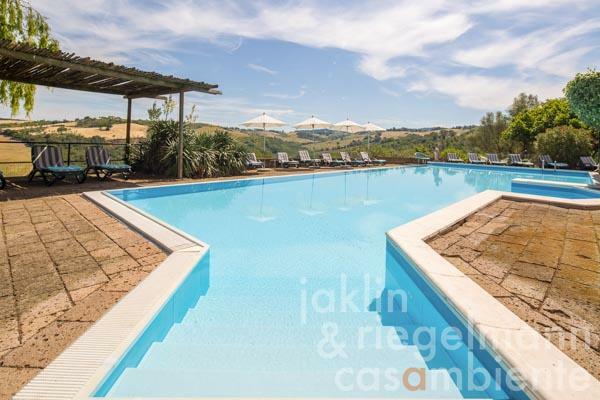 The entire garden and park area is very well-kept, the large panoramic swimming pool offers magnificent views across the Tuscan hills until Volterra. In addition, the property offers meadows, woodland, pond, fitness trail and a barbecue area. The manor features 11 contemporary apartments for guests with 2-8 beds each and 6 separate double bedrooms. All apartments have an independent entrance and most have a private terrace or private loggia to dine outdoors. 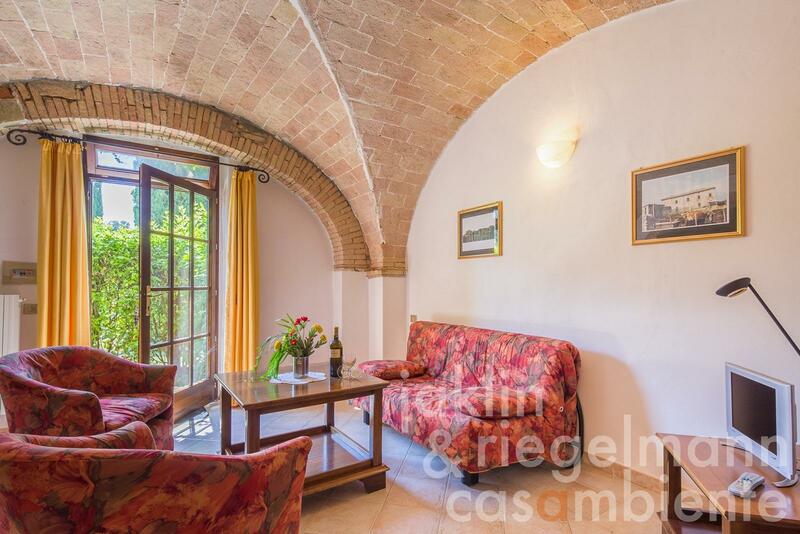 Two apartments are wheelchair accessible. 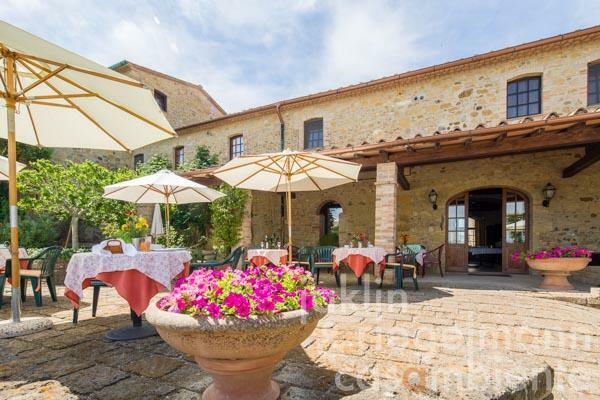 The manor for sale has a bar/café, beautiful breakfast- and dining room with typical arches and a professional kitchen. 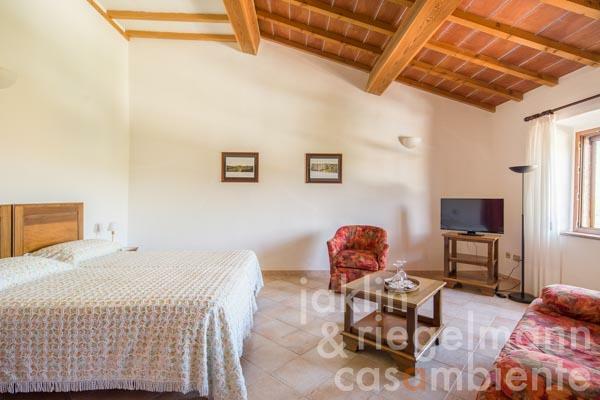 Lounge and recreation rooms with billiard table are available for guests. A beautiful and spacious owners' apartment with large panoramic terrace completes this special property. 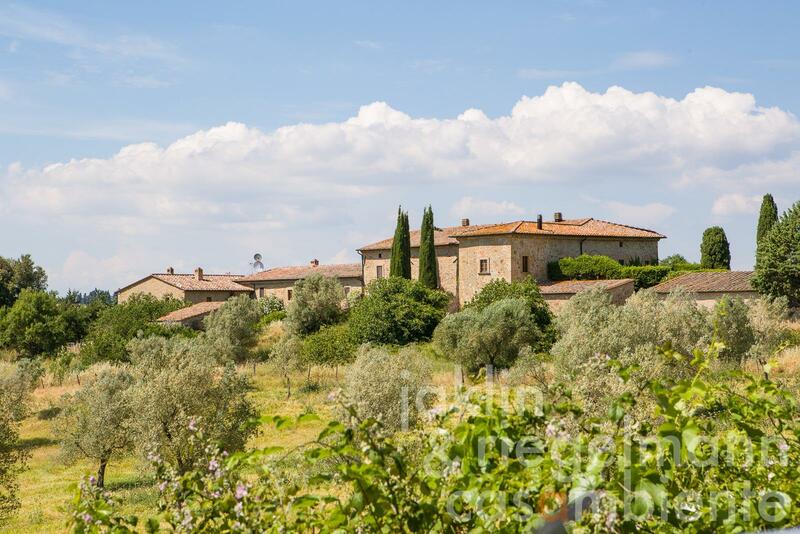 The surrounding Tuscan landscape is ideal for mountain bike-, road bike- and motorcycle trips. 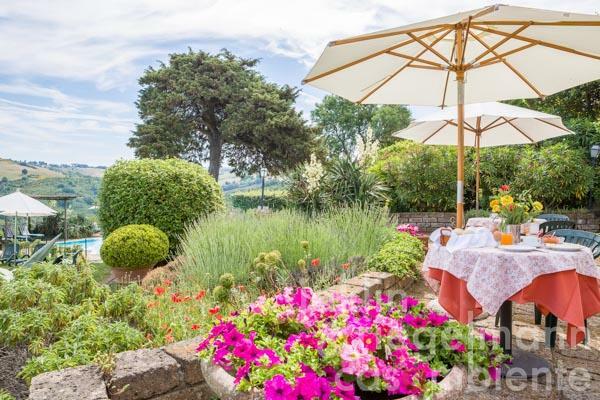 The sea is only approx. 40 km away. 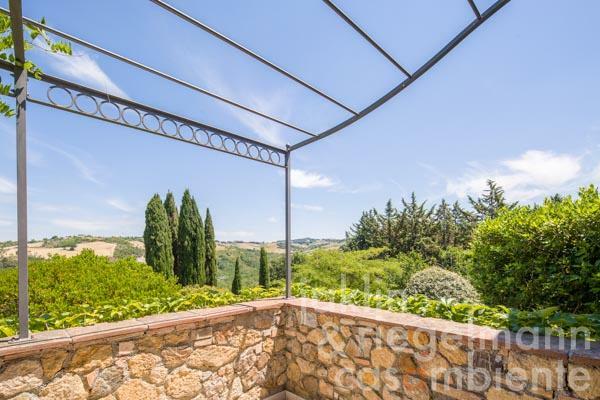 Italy, region Tuscany, province Pisa, municipality Volterra. 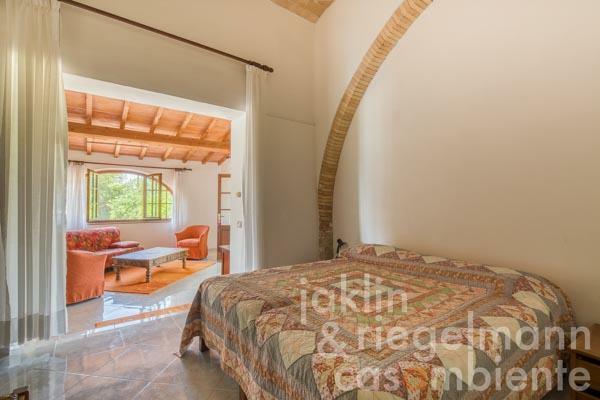 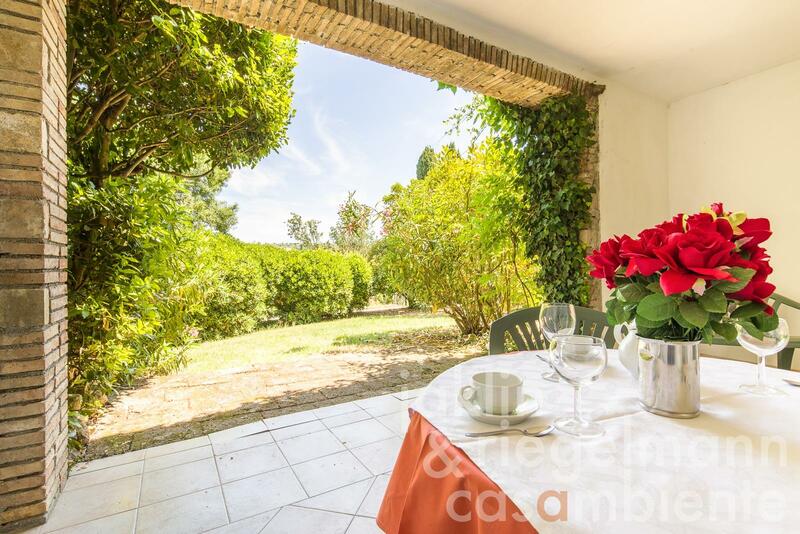 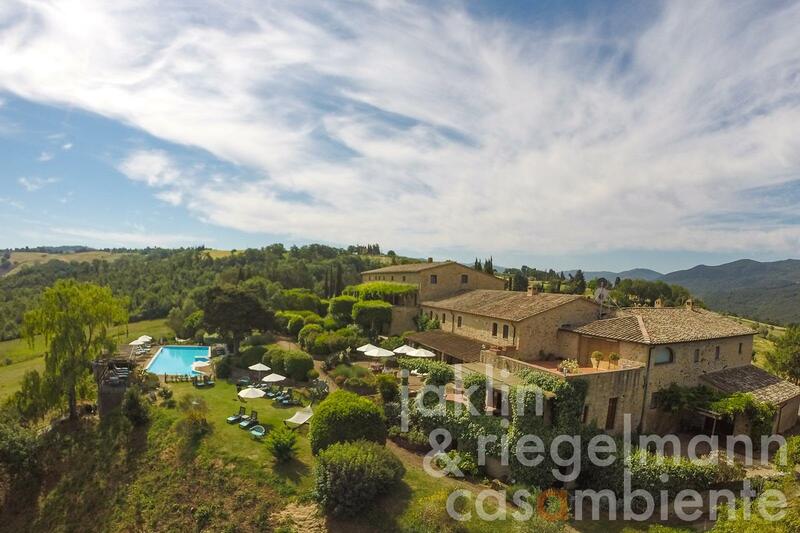 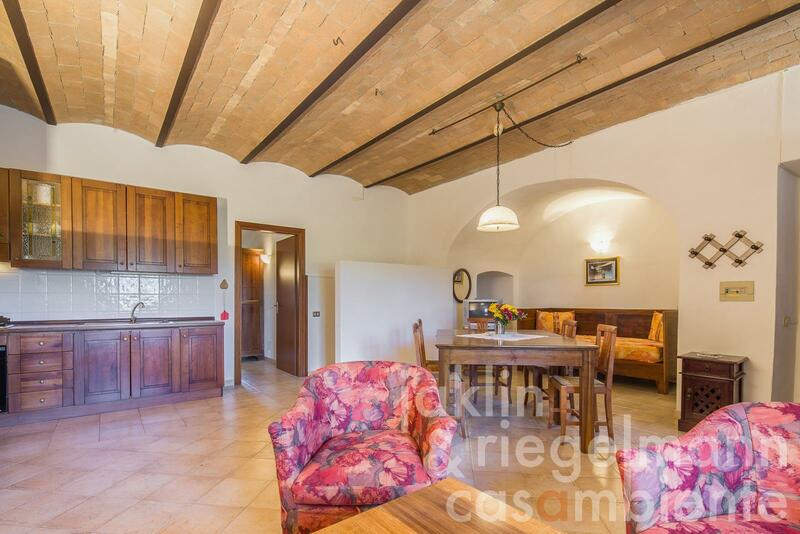 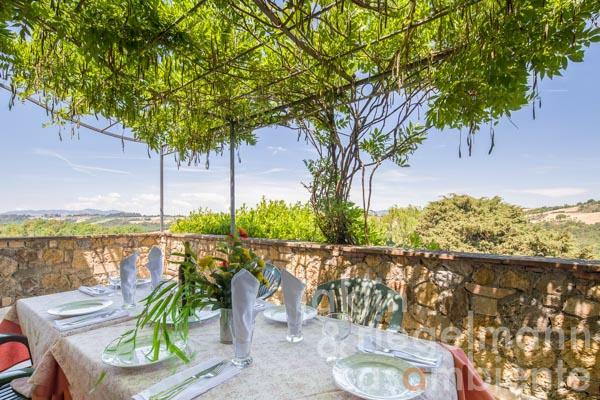 3.14 ha with terraces, well-kept garden and swimming pool. 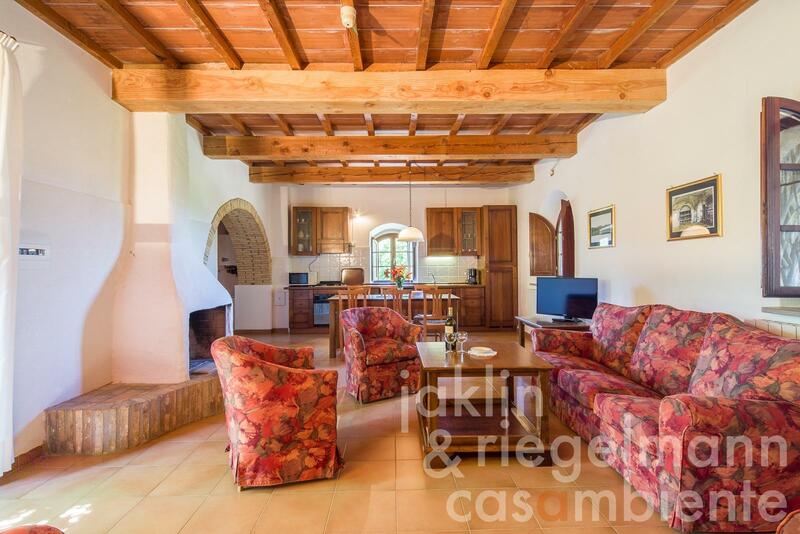 Electricity, mains water, own well water, central heating, fireplace, gas tank, telephone, broadband internet access, satellite-TV, swimming pool, private parking, terrace, garden, furnished.